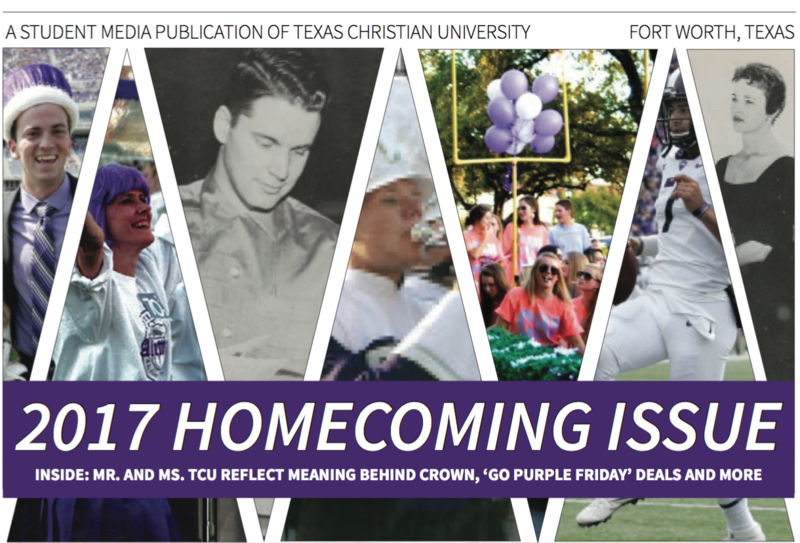 Volume 116, Issue 9: 2017 Homecoming Issue Also: Mr. and Ms. TCU reflect on meaning behind crown, 'go purple Friday' deals and more. 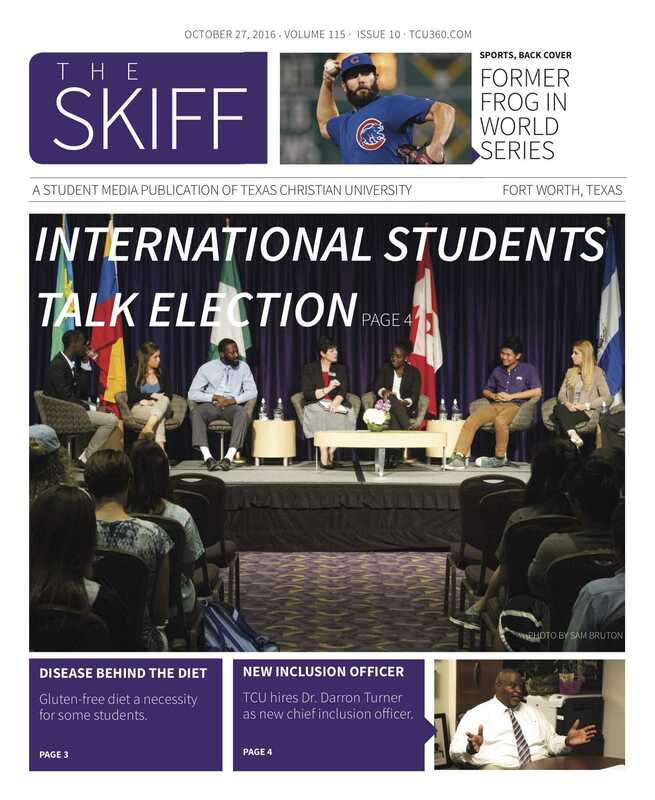 Volume 115, issue 10: International students talk election. 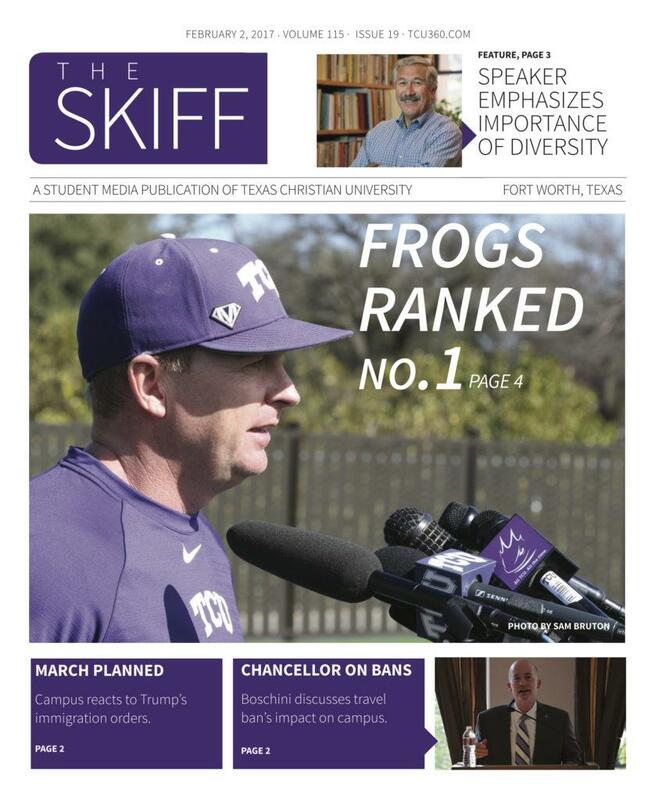 Also: TCU's new inclusion officer, former frog in the World Series and more. 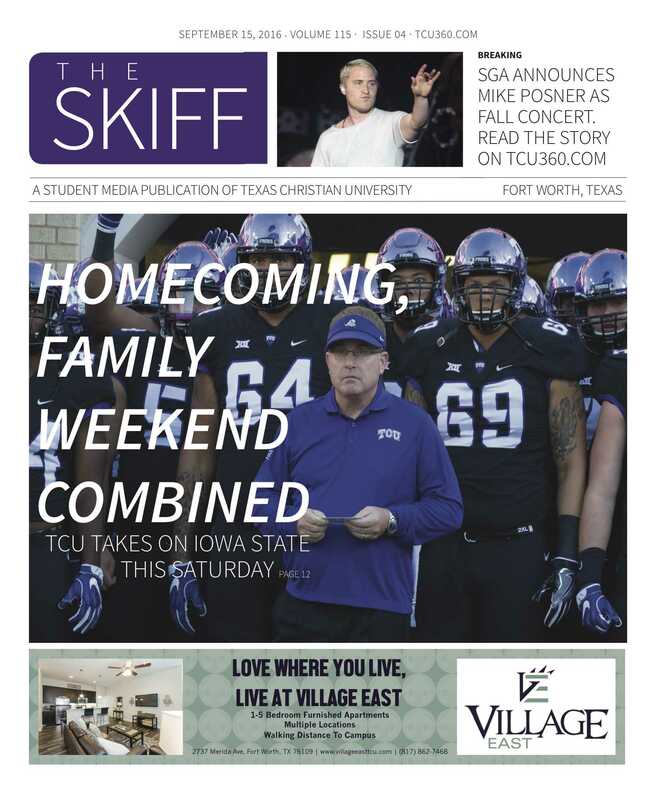 Volume 115, issue 03: Homecoming, Family Weekend Combined. Also: SGA announces Mike Posner for Fall Concert, New tradition for class rings, Student recalls 9/11 and Male student enrollment increases. 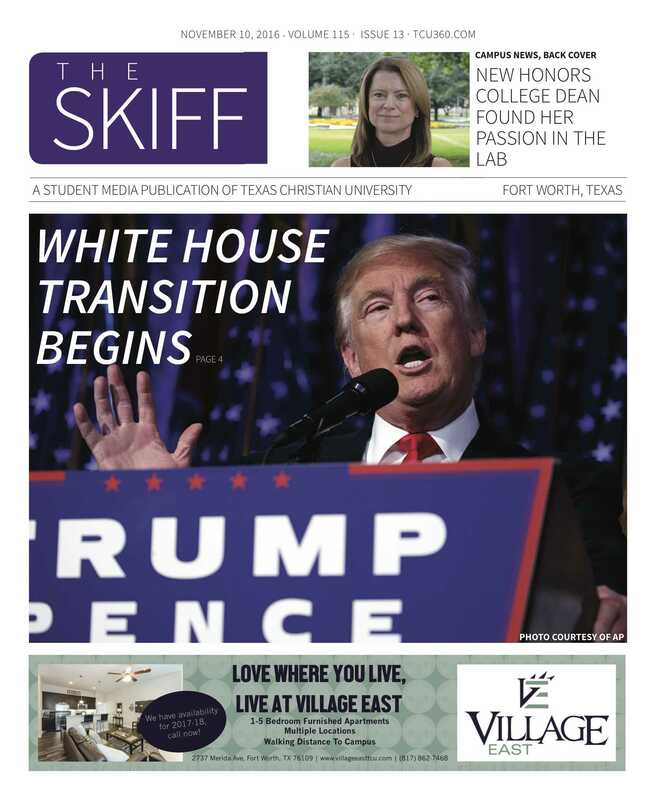 Volume 115, issue 13: White House transition begins. 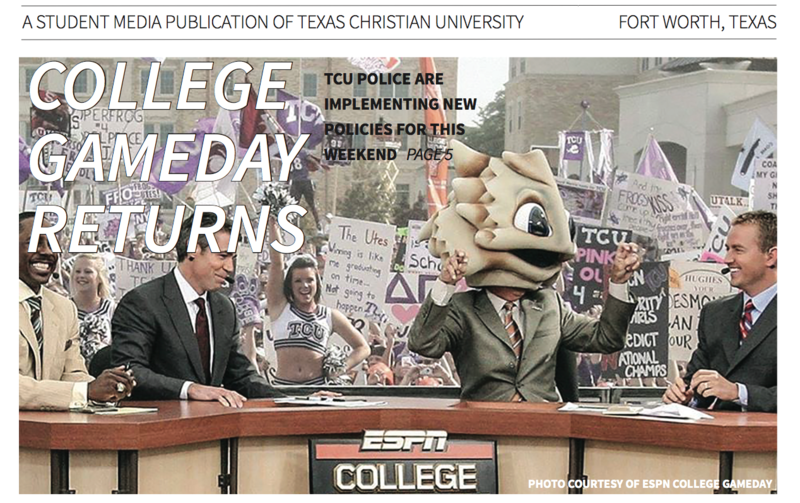 Also: New honors college dean, TCU soccer ears first NCAA berth, eSpot changes and more. 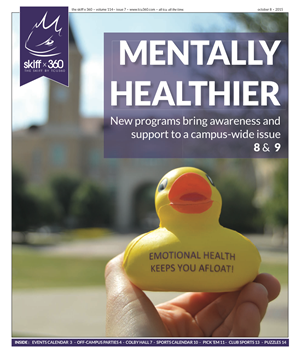 Volume 115, Issue 19: Frogs ranked No. 1 Also: Chancellor on bans, March planned, Speaker emphasizes importance of diversity and more.